Q.1. On what date is the Gandhi Walk? A.1. Sunday 07 April 2019. Q.2. What is the starting times for the Fun Walk? Q.3. Where is the starting & finishing venue? Gandhi Hall, Impala Crescent, Extension 5, Lenasia. Q.4. How much does it cost to enter the race? A.4. The price for late entry, is R40. Q.5. Will prizes, or trophies be awarded to participants? 1st, 2nd and 3rd winning male and female walkers will receive trophies. A commemorative t-shirt will be given to the first 3000 participants crossing the finish line. There will be lots of spot-prizes given to walkers. Q.6. How do I get to the venue? A.6. For detailed instructions on how to get to the venue, refer to Contacts Us. Q.7. Where can I park? A.7. There will be plenty of on-street parking available close to the Gandhi Hall. There will also be secure FREE parking available at the Impala School Grounds adjacent to the Gandhi Hall. The entrance is on Mandrill Street. See MAP for directions. Q.8. What time should I arrive? A.8. It is recommended you arrive at least one hour before the start and earlier if you can. Most of the participants arrive between 7.30 - 8:15am. If you can arrive before 8am you will "beat the crush" and experience little traffic congestion, you will be able to get one of the best parking spaces. You will arrive at the start line more relaxed and have a better chance of a good walk! Q.9. Who can I contact for Walkers Numbers or any queries? A.9. Please refer to the Contacts Us page for further information. 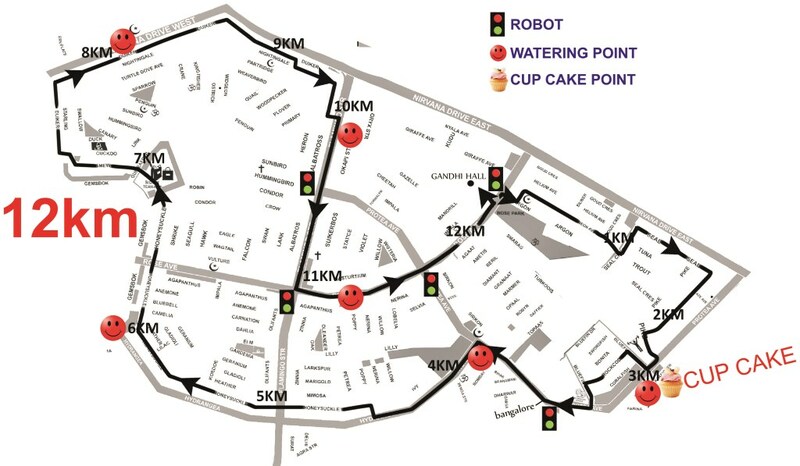 You can also purchase your entry ticket in advance from any Computicket outlet nationwide (including Computicket online, Checkers or Checker-Hyper stores) for the 6KM Walk and 12KM Walk. Q.10. Can I enter on the day? A.10. Yes, Walker Numbers will be sold from the special late entry tents at a late-entry cost of R40 per participant number. Q.11. How many walkers usually enter the race? A.11. Upwards of 5000 walkers. Q.12. What is there to do after I complete the walk or run? A.12. 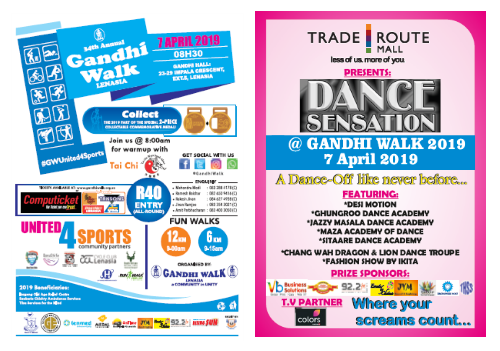 The Gandhi Walk Committee hosts a full day programme with lots of fun and entertainment provided following the trophy and prize presentations. Check out the NEWS page to find out more about activities and entertainment planned for this year’s Gandhi Walk. 07. Evaton Child & Family Assoc. 31. Planned Parenthood/Family Health Ser.